Nothing beats the convenience and ease of drinking an iced cold beverage through a straw; no cubes hitting your teeth or splashing your face, just refreshing beverage straight to your tastebuds. Correction, one thing beats that: these straws are reusable! 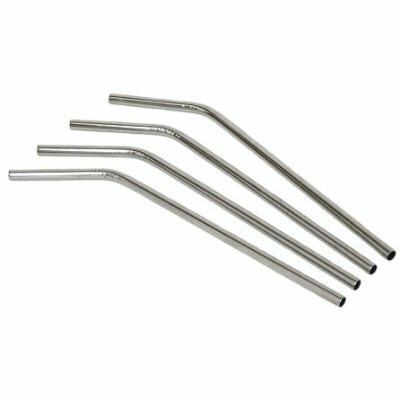 No more waste every time you want an icy drink and unlike reusable plastic straws, these are built to last not wear out and crack. These even have a bent neck for the ultimate in drinking comfort.